Love, Actually: Love Checks: A Valentine's Gift! 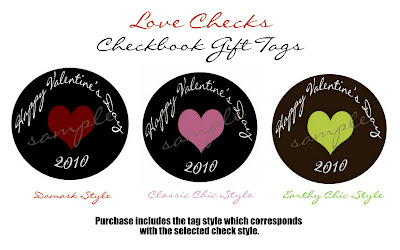 Love Checks: A Valentine's Gift! Over the holidays, I had such a great time designing and personalizing my "Date of the Month Club" digital kit as a Christmas gift for so many of you. I was blown away with tremendous response I got from it, so I know that many of you think the same way I do in wanting something creative and unique to offer as a gift! Some of you are still asking for the Date of the Month Club kit, and that's great. It now has a permanent spot in the "Love Actually Boutique Shop". However, I have created two different digital kits, especially for Valentine's Day, that I hope you'll enjoy. Whether you make them yourself using my ideas as inspiration, or have me design them for you, I hope they'll be just what you've been looking for to surprise your spouse this Valentine's Day...without spending a ton of money!! So, this post and the one previous, "Valentine's Countdown Calendar", will both include digital kits for sale. Surprise your Valentine this year with a one-of-a-kind gift! ...by one-of-a-kind, I mean a customized gift designed by me! You'd fill in your love's name on the "Pay to the Order of:" line. Then, when they redeem each check, just have them sign the back so you know it's been used! *Unfortunately, I will not be able to mix & match the check styles. Please choose one style. What about the cute little tag on the checkbook cover? It's yours! 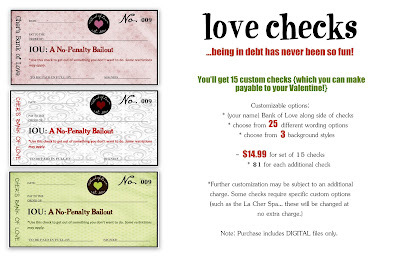 Only $14.99 for the custom checks and checkbook gift tag! 3. Choose the name of "your" Bank of Love. 4. Choose your 15 check word options (each check above has a number in the upper right hand corner). Give me a list of the 15 you want. If you choose more than 15, I will add $1.00 for each additional. 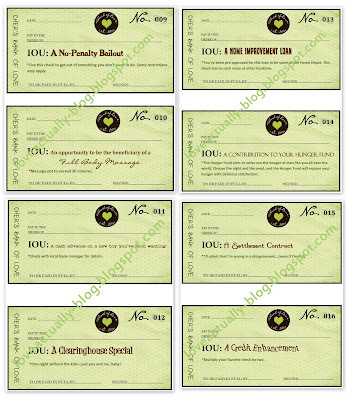 Once I finish your customization requests, I will send you the PDF files which contain your checks and checkbook tag. You can then print at home or send it to Kinkos! 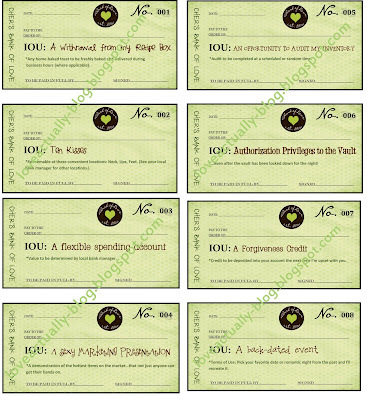 I will also provide you EASY instructions for getting your checks to stick together (with modge-podge of course!). Note: I use Google Invoice for payment, a secure website where you can pay online using a debit or credit card. This is such a cute idea! What a great gift!! This is such a cute idea! I am loving your blog and can't wait to try pretty much everything. Just found your blog and I am in LOVE!!!! 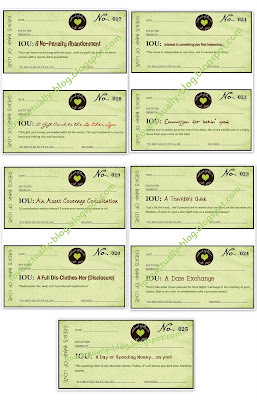 I am featuring these checks on somewhatsimple.com this Friday!